Calculate what your heart rate tell about your overall health by telling us your resting heart rate. Normal resting heart rate of people vary from 60 to 100 beats/minute, but if it remains below 60 (known as bradycardia) or above 100 (known as tachycardia) then it is a medical condition. Tell us your age, gender and resting heart rate, we will tell you if it is OK or not. How to know your RHR (Resting heart rate) ? To know your resting heart rate you should lie down comfortably on your back for a few minutes and take long breathes and calm down your mind. If you can't do it right now, then you must know that heart beats slightly faster while sitting, so you may enter some lesser value. Best way to measure your pulse is by putting your index finger on the wrist area of opposite hand, just below the thumb, and then count it for 1 minute. If you have got a wristband / health band then it can also tell your pulse rate. Heart rate (also known as pulse rate) is something which is strongly connected to our overall health. Your heart rate changes several times in a day depending on your body positions such as resting (lying), walking, sitting, running or during workout. Resting heart rate is generally used to estimate your overall health. Heart rate of a health adult can change suddenly while changing body positions, from resting to standing or from standing to running. But unhealthy and older adults with unhealthy cardiovascular health feel uncomfortable in changing positions suddenly, thus advised by doctors to change positions slowly to keep themselves safe from sudden heart rate change. How to lower your Resting Heart Rate (RHR) ? But why do heart rate change while changing positions? Effect of gravitation on blood flow. Effect of physical activity on blood / oxygen demand by body parts. When we keep lying for a few minutes the blood flows back to heart without much effort, compared to standing, where blood flows from legs to heart against the gravitational pull. To create this extra push and pull our heart beats at a higher rate. Physical activity also creates demand for more oxygen and energy from muscles and cells helping in the activity. 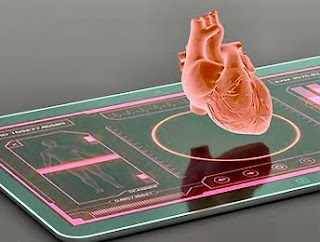 That demand is fulfilled through blood supply by increasing heart rate. Blood carries oxygen and nutrients/energy to organs in need. This reason also explains the increased breathing during physical activity. Posture of our thigh also affects our heart beat. In sitting posture, our thigh is usually parallel to the ground, while in standing posture it is vertical to ground. Thighs parallel to ground decrease the heart beat. Due to this reason, our resting heart rate can increase if we bend our knees while lying on back. Metabolic age is connected to calories consumed by metabolic system. It is directly dependent on BMR (Basal Metabolic Rate). 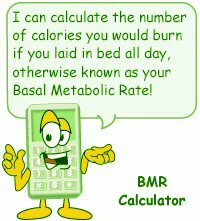 BMR is amount of calories consumed by our metabolism when our body remains at rest. Its calculation is different for different genders. Here we have given the formula usually used to calculate BMR. Here can calculate you BMR after filling the details in the form given below. Metabolic age is actually a comparison of BMR of people of similar age group. If you BMR falls in the range of average BMR of other age then your Metabolic Age will be that. So your metabolic age can be different from your actual age. To keep your Metabolic age below your actual age you need to control your weight. Weight is the only factor that you can control. Height and actual age can't be controlled by anybody. Our BMR increases till the age of 20 and then starts decreasing 100 Calorie per decade. The formula given below is known as Harris-Benedict formula, which was created in year 1919. The above formulas are not used in modern calculations of BMR. Now we use a more accurate formula known as Mifflin - St Jeor formula, which was created in 1990. Mifflin - St Jeor formula is given below. Metabolic Age is calculated by comparing your BMR with Average BMR of people with similar height of different age groups. If your BMR matches with a lower age group then your metabolic age is lower than your actual calender age. Lower metabolic age is considered healthy and increases your life expectancy. We tried to find a graph or chart so that you can match it to know your, but there no such thing available on net. The comparison differs according to your ethnicity as well. People living in US will have different BMR chart than those living in Asian continent. Why Metabolic Age is not always accurate ? Metabolic Age is calculating the BMR and then comparing it with average BMR of different age groups. But the truth is that BMR varies depending on your geographic location, lifestyle, body type, activity level and various other unknown factors. It is nearly impossible to calculate metabolic age of every person on earth using the same BMR chart. As we read about some researches of BMR on wikipedia, we found that in a research two different person with same lean body mass of 43 kg when obeserved in a test-lab reported BMRs of 1075 kcal/day and 1790 kcal/day. The difference in BMRs of those two test subjects was equivalent to running 10km. So if you want to calculate your real BMR or Metabolic Age then is better to visit a reputed medical facility. Tell us your age, weight, height, some lifestyle details and we will tell you about the risk factors that might be connected to your blood pressure and heart health. Heart Attack Risk can also be estimated through this calculator. Our heart health is the most important factor that decides our overall health. So if you can follow our recommendations then you may keep your heart healthy and live a long life. So what are you waiting for ! Just enter the details below and know more about your heart health. Please provide some more information for accurate results.